Amit Sheth is the LexisNexis Ohio Eminent Scholar, professor of computer science and engineering, and executive director of Kno.e.sis. 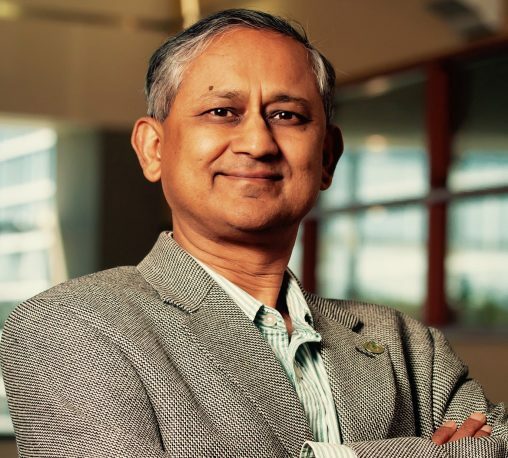 Wright State University professor Amit Sheth is a newly elected Fellow of the Association for the Advancement of Artificial Intelligence (AAAI). AAAI is the premier artificial intelligence (AI) professional society. Each year, five to eight distinguished AI researchers are elected AAAI Fellows by the association’s members for their unusual distinction in the profession and for their sustained contributions to the field for a decade or more. AAAI will celebrate the newly elected Fellows at a dinner during AAAI-18 in New Orleans on Feb. 4. Sheth arrived at Wright State in 2007 as the LexisNexis Ohio Eminent Scholar, a professor of computer science and engineering, and the executive director of Kno.e.sis, the Ohio Center for Excellence in Knowledge-enabled Computing. His research has pioneered the development and use of knowledge graphs to enhance AI techniques of machine learning and natural language processing and for making sense of Big Data. A unique aspect of his research is significant multidisciplinary collaborations to address important real-world applications. Key domains and industries where his innovations are applied include individual and public health, biomedicine, social good, finance, advertising/marketing and manufacturing. AI has become an important technology for companies such as Google, IBM, Microsoft and Amazon. It has also become a significant changemaker for a growing number of industries including health care, transportation, manufacturing and finance. “Given the importance of AI and the selectivity of the AAAI Fellows program, Sheth’s election as a Fellow of AAAI is a significant honor for our university and a recognition of the world-class research and interllectual propoerty generation by our faculty,” said Provost Tom Sudkamp. Sheth has been among top 100 computer science and electronics researchers and among the top few in the World Wide Web in recent years based on the widely used matrix of h-index (his current h-index is 97 based on more than 38,700 citations to his publications). Sheth has been a principal investigator of competitive research grants totaling over $27 million. Since joining Wright State, his research grants funded more than 300 semesters of graduate student assistantships, and 21 of his advisees have completed their doctorates. Additionally, more than $6 million has been awarded to support his technology commercialization and research and development efforts. This involved the founding of Cognovi Labs, which describes itself as a “fusion of behavioral science and artificial intelligence.” It is the third such company that was founded by licensing technology resulting from Sheth’s university research with his students. For this, Sheth was named runner-up of the 2017 Technology Commercialization Award by Ohio Faculty Council. The honor recognizes faculty members in Ohio’s public university system for exceptional research discoveries and the role they have played in supporting the translation of those discoveries into marketable products and services. Prof. Sheth received his B.E. (Hons) from BITS-Pilani, India, in 1981 and his Ph.D. in computer and information science from The Ohio State University in 1985.